R series from Audi offers super fast, super expensive sports cars. 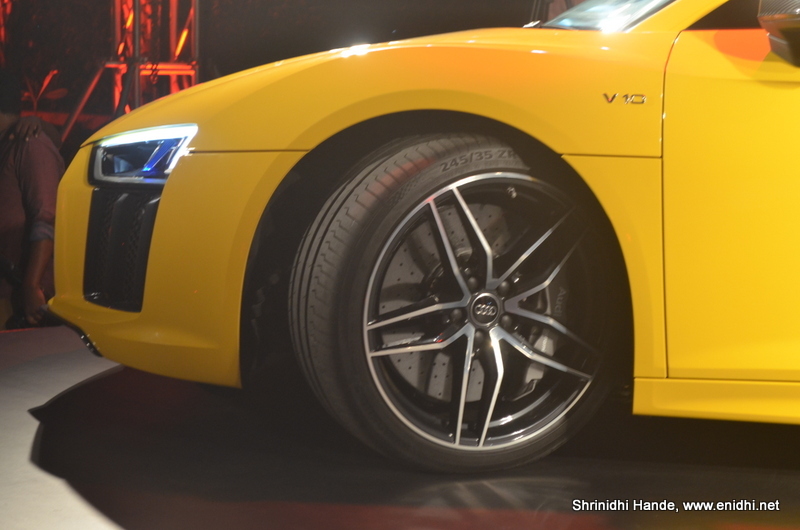 The hitherto champion R8 V10 has just been outranked by the Plus variant. R8 V10 Plus can reach 0 to 100 in 3.2 seconds, has top speed of 330kmph (Do we really need bullet trains?) 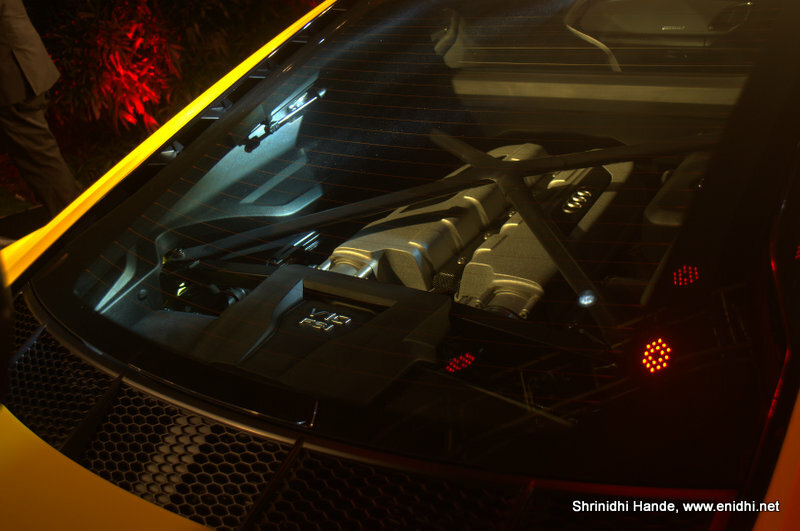 and has 601 horses behind the driver's seat. 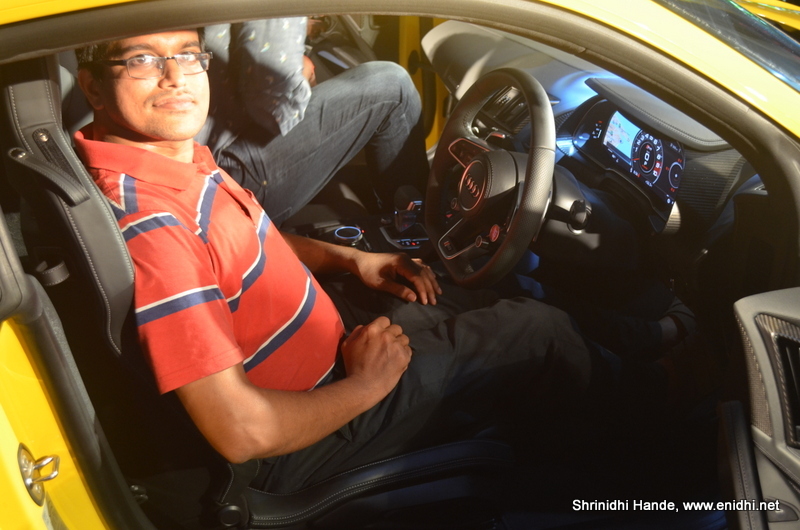 Interiors of R8: Completely digital 31.24 cm virtual cockpit... These cars revv so fast, analog meter will never be able to keep up. 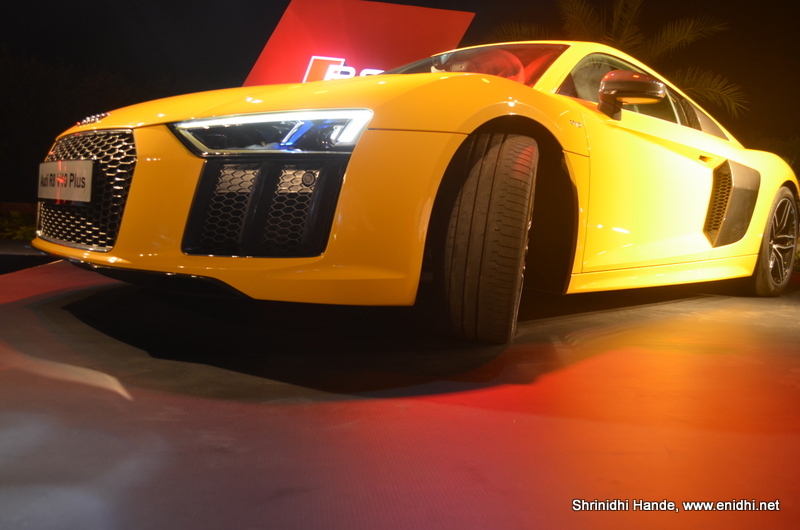 The Fastest Audi on the block commands an ex-Showroom price of 2.6 crores in Tamil Nadu. On road price is not revealed during the launch, but my guess is it will be roughly 30% more, and several lakhs more should you touch the optional list. Effectively 3.5 to 4 crores on road. 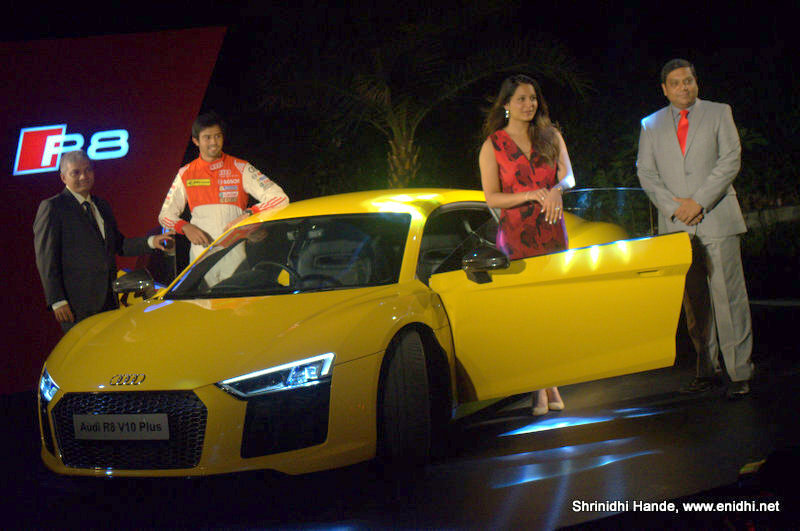 We were told that 20 customers have already booked the R8 V10 plus in Bengaluru where it was launched a few days earlier. 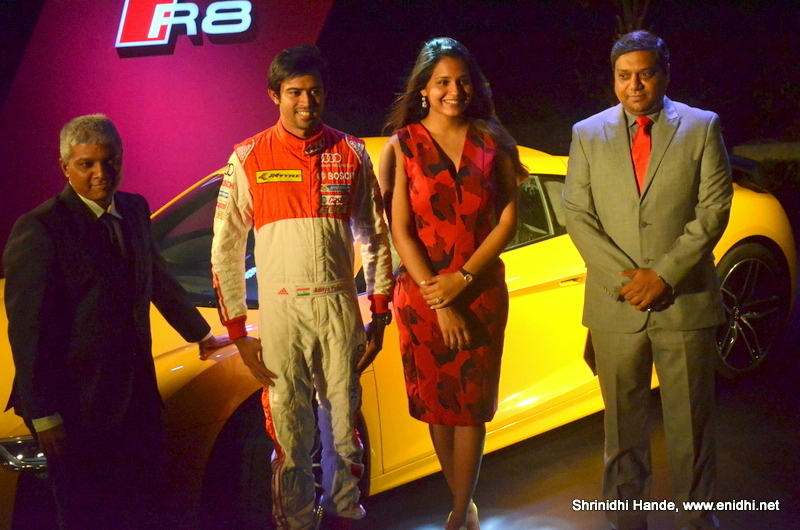 Audi owners get to join Audi Club and take part in A drives, Q drives and other such outdoor events organized by Audi. 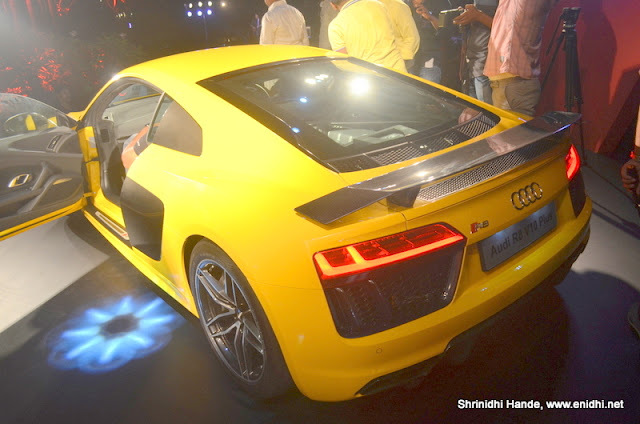 Other cars in Audi portfolio in India includes the Q series (SUVs), A series (Sedan) and a few special introductions-RS, TT, SS etc.